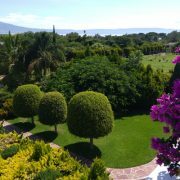 Join us in Mexico for Women’s Circle, Women’s Story! The 20th Women’s Writing Retreat will be held in sunny Mexico! Make plans today to join us February 3-8, 2019! GO HERE for complete information and video! https://journaltherapy.com/wp-content/uploads/2016/02/MexicoRetreat2019-Featured-600x400.jpg 400 600 Margaret https://journaltherapy.com/wp-content/uploads/2016/02/logo-new-2.png Margaret2018-08-23 14:15:002018-08-23 14:20:30Join us in Mexico for Women's Circle, Women's Story!